Back in 2014, a horrific tragedy killed 47-year-old Salvatore Sarrecchia. Now, the victim’s surviving loved ones have finally gotten closure on the years-long lawsuit they have pursed against the state. The family is expected to receive around $1.8 million in compensation for the wrongful death of Sarrechia. On May 18th, 2014, Sarrecchia was driving home with his wife, Nicole, at around 2 A.M. Unbeknownst to him, a vehicle ahead of him had accidentally struck a guard rail. The driver of that car, 25-year-old Calvin Luk, had exited his vehicle. Suddenly, Sarrecchia noticed the abandoned vehicle in both the center and right lanes at a complete stop. Unable to brake in time, he smashed into the car. After the accident, Sarrecchia exited his car to evaluate the situation. His wife, Nicole, suffered minor injuries during the crash, so she waited for him inside their car. Minutes later, Sargent Lawrence Lynn approached the accident scene in a marked Department of Health and Human Services vehicle. According to at least two witnesses, the police officer had turned on the emergency lights on the SUV as he drew closer to the scene. It was later revealed that Lynn had not been called out to the accident scene, and he was on his way to conduct other business. Sarrecchia was still standing outside of his vehicle when he was hit by the incoming car. Sarrecchia, his wife, Calvin Luck and officer Lynn were all injured after the ordeal. They were all rushed to Morristown Medical Center for treatment, but Sarrecchia was pronounced deceased a short time later. Police did discover that he had been driving under the influence, and his blood alcohol content was recorded as .13. Luk, the driver whose mistake initiated the whole ordeal, was later found to be driving while intoxicated. He was criminally charged for his actions that ultimately resulted in the death of Sarrecchia. Sarrecchia’s family members decided to pursue a lawsuit against both the state and the intoxicated driver. They filed the lawsuit in Morris County. Just two weeks before the case’s trial date, an agreement was reached during a pretrial conference. The settlement provides Sarrecchia’s minor children and other family members with nearly $1.8 million in compensation. The state is expected to pay out $1.7 million, and Luk’s insurance provider will be giving the family $100,000. Did you or a loved one sustain serious injuries due to drunk driving in New Jersey? Don’t let the medical bills pile up while you wait for the negligent party or their insurance company to do the right thing. Right now, you need an aggressive personal injury attorney on your side, fighting to get you the compensation you need, want, and deserve. 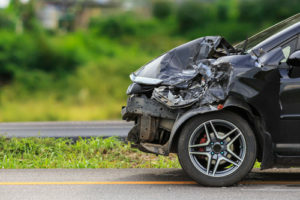 The skilled attorneys at Blume Forte Fried Zerres & Molinari represent clients injured because of drunk and reckless driving in Chatham, Jersey City, Sea Girt, North Bergen, and throughout New Jersey. Call 973-635-5400 or email us to schedule a free consultation about your case. We have an office conveniently located at One Main Street, Chatham, as well as offices in Jersey City, Sea Girt and North Bergen.